Roger Innes and Ivan van Heerden, course managers at Bushwillow and Firethorn, the two well-known courses at the Randpark Golf Club, have decided to add Club Car Carryall utility vehicles to their existing fleet. Club Car is distributed in South Africa by Smith Power Equipment (SPE). 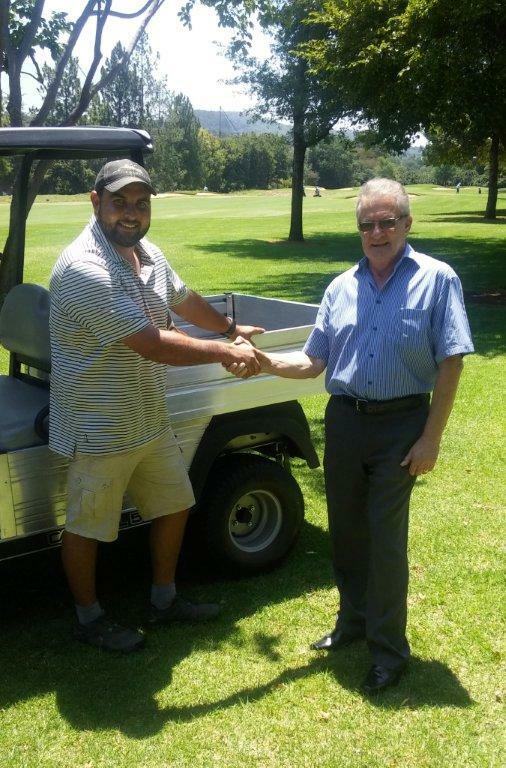 Roger says that the main reasons for choosing Club Car are the exceptional operational efficiency of the Club Car Carryalls and the fact that he and the Randpark teams have been working with SPE for many years and have been more than satisfied with their excellent service. “The entire daily operation of the courses depends on our efficiency. Downtime is something we have to guard against and with SPE we know that if anything does go wrong we will get the service we require. In addition, with the Carryalls, they gave us a good price making the whole proposition most attractive for us,” says Roger. Stephan Jacobs, workshop manager at Randpark, says that he is impressed with the quality of the Club Car Carryalls. “Operationally they are outstanding. 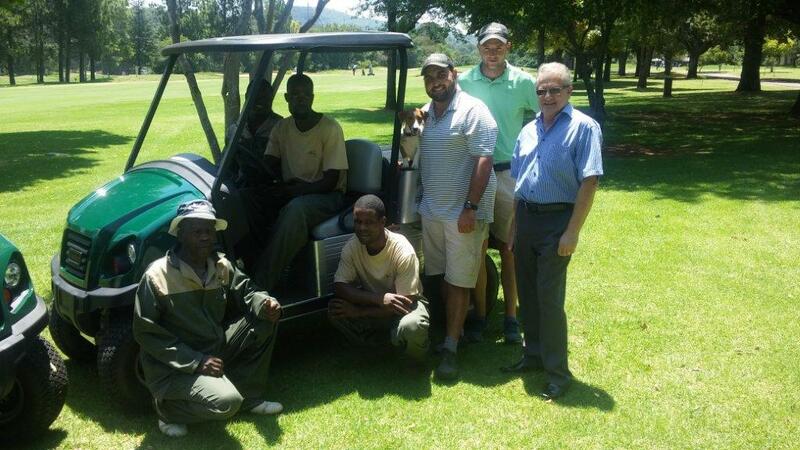 They have very tough suspensions and are fitted with reliable Subaru engines which are the same as on the GM1000 Toro Greensmaster Greens Mowing machines, which have given Randpark outstanding service for many years. 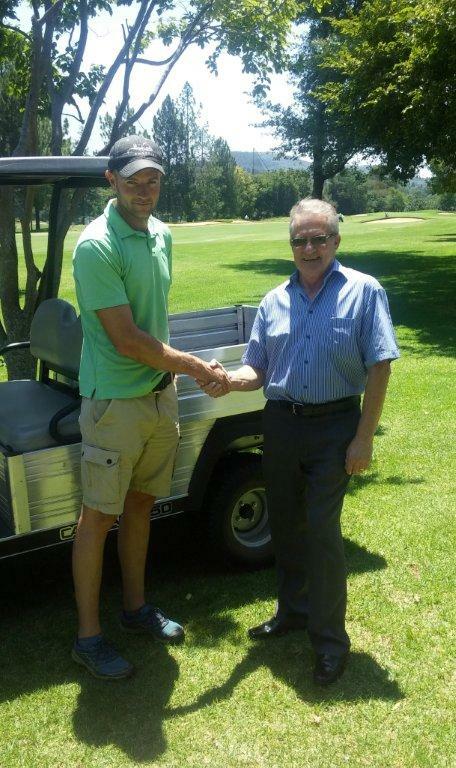 Another thing that impresses me is the very high clearance on these carts which is a significant advantage on golf courses,” says Stephan. 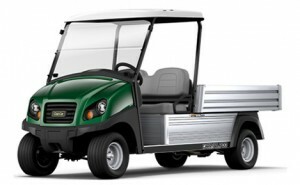 He adds that utility vehicles are indispensible for golf course management and are used for course set-up, carrying tools, carrying sods for planting and for the transportation of people and general equipment from point to point. 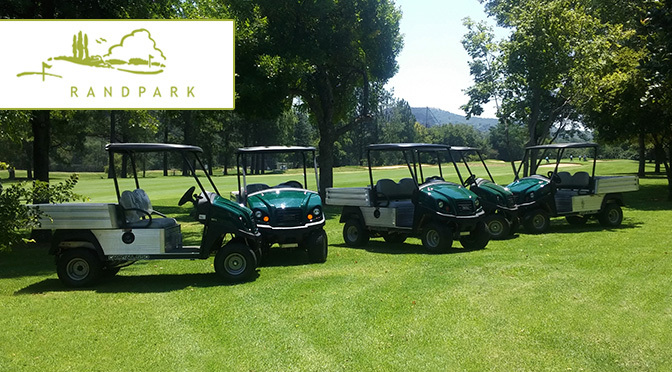 In the most recent deal Randpark took delivery of five Club Car Carryall 550’s which are able to manoeuvre over the most difficult terrain and feature a 162,5mm ground clearance (the most in its class), a sturdy differential guard and rough-terrain tyres that can resist nails and other sharp objects. Powered by a 404cc Subaru petrol engine, its rugged, aircraft grade aluminium frame, chassis and cargo box provide a steady ride. An optimal turning radius allows navigation in the tightest spaces, making this the perfect vehicle for tight spots on a golf course, construction site, industrial location and many other work applications. 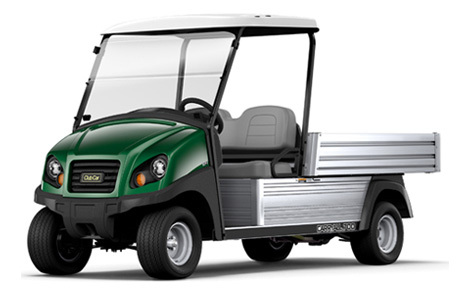 In the golf club industry Club Car golf carts are legendary and the Carryall has utilised this basic technology, and more, to make them fit for purpose in the utility application. “We are extremely pleased to have acquired such excellent machines for our two courses and we have no doubt that this will help to substantially improve our productivity,” concluded Roger. This article appeared in the Golf Industry SA – March 2016. This article appeared in the Tee and Sandwedges – April 2016. This article appeared in the Landscape SA March-April 2016. Contact Stephan Mangold on email: stephen@smithpower.co.za or 082 882 6935.